All transactions are safe and secure with a reliable history in online purchasing behind each of our associates. 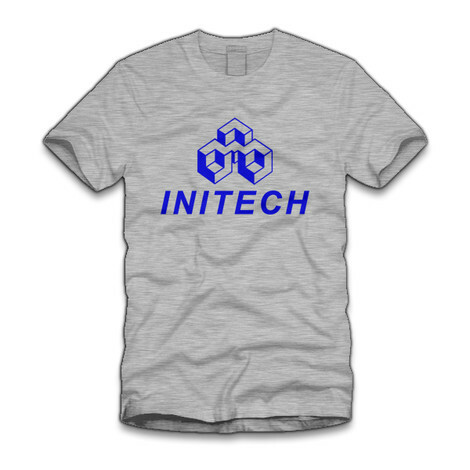 Buy the Initech Company Logo t-shirt to own Office Space clothing and merchandise. Tell them you work at Initech and that a horrible fire just burned down the office building. This grey Initech company shirt looks official, which makes it even more hilarious. Click through to browse more Office Space Initech apparel. The company logo is also available on tees, baseball jerseys, sweatshirts, and the Initech mouse pad and coffee mug shown in the column on the right. In addition to the Initech Company Logo tee above, browse the Office Space Clothing Gallery for more apparel like men's and women's clothes, kids shirts or hoodies.